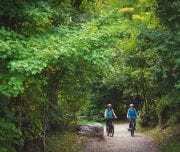 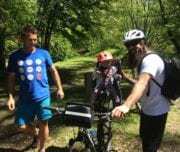 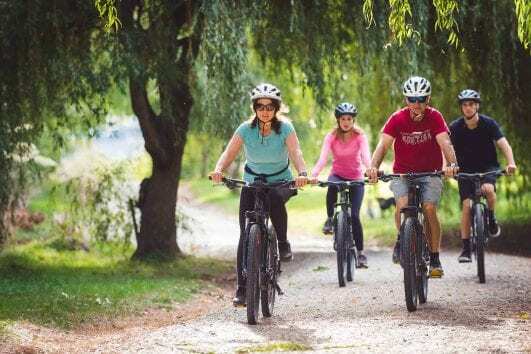 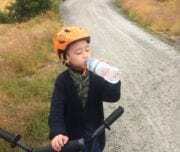 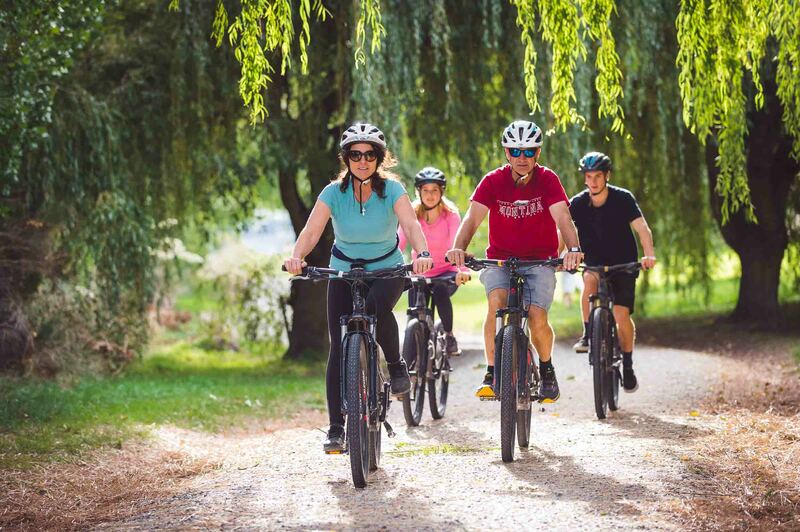 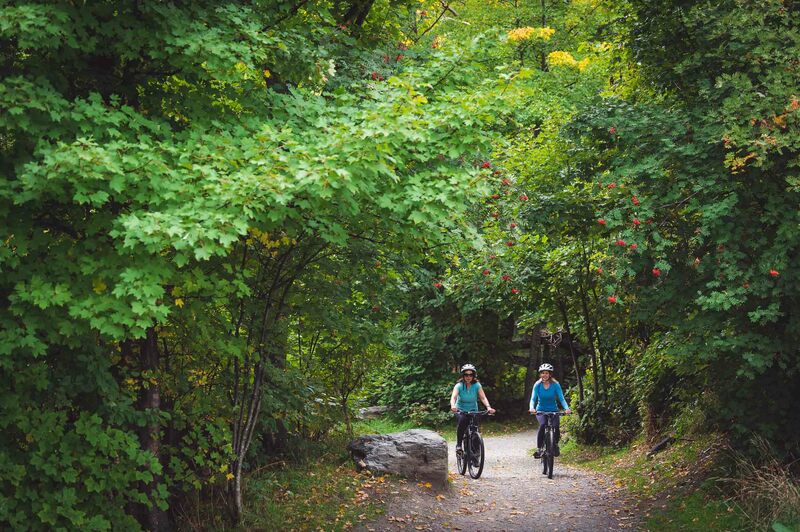 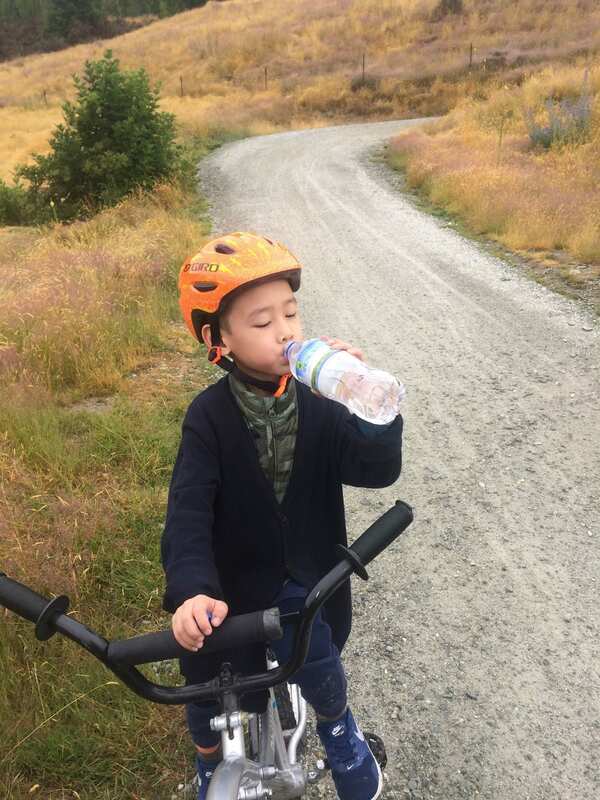 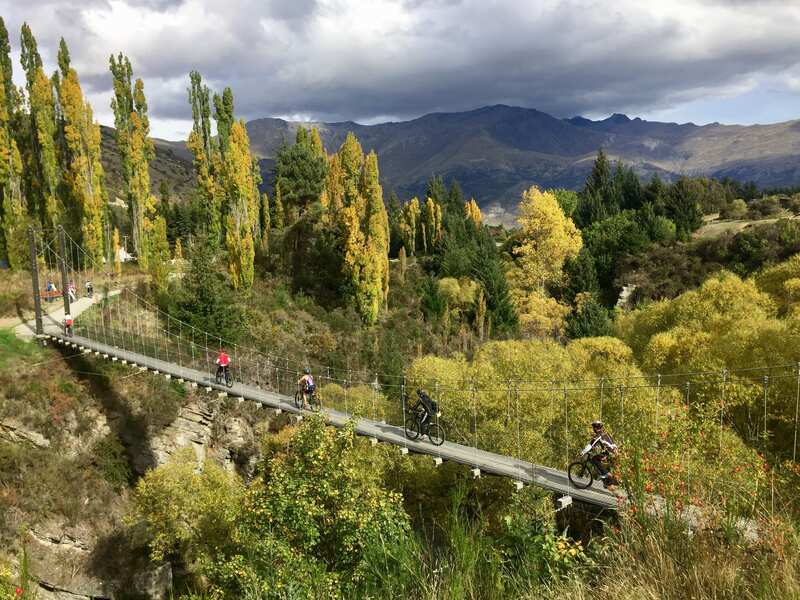 Your four hour supported adventure biking the Queenstown Trails begins at either 9am or 1pm in summer (1 October – 30 April) or 12 noon in winter (1 May – 30 Sept) with a scenic transfer from your Queenstown accommodation through to the historic gold mining village of Arrowtown. 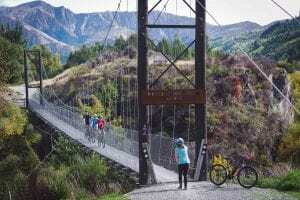 From here you will follow the beautiful Arrow River Trail down stream to where it meets the Kawarau River. 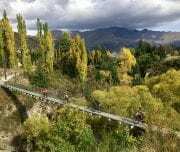 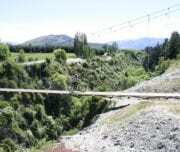 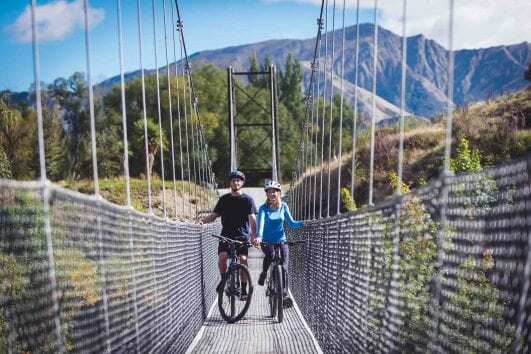 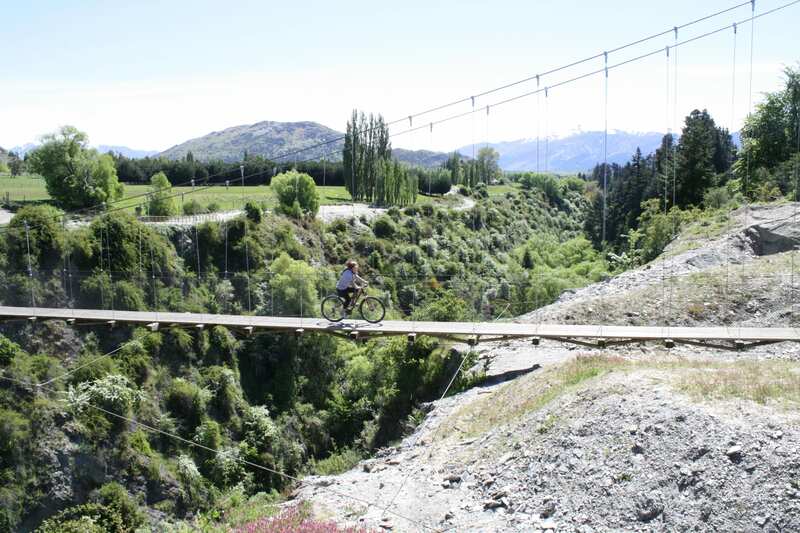 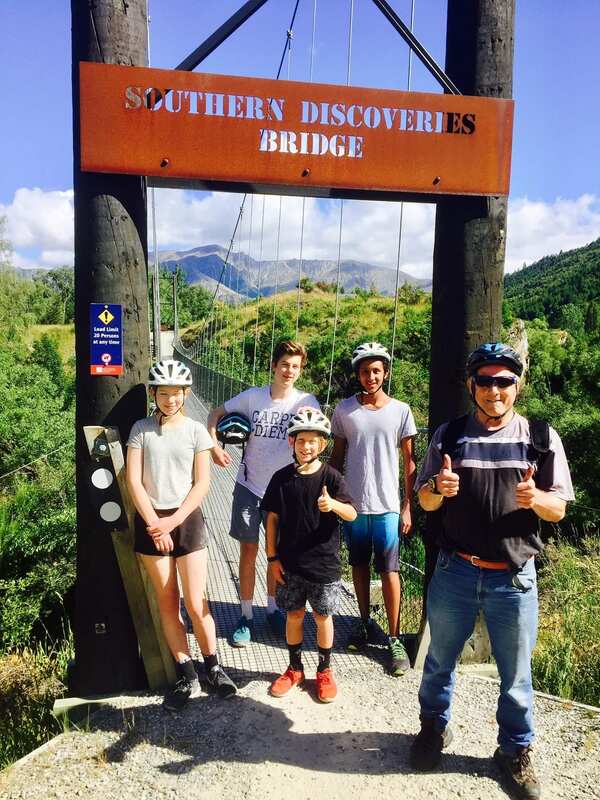 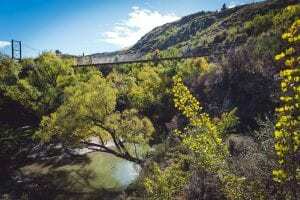 You’ll ride across 2 spectacular suspension bridges and then join the original miners trail that crosses the famous Kawarau suspension bridge, home of the the worlds first Bungy jump. 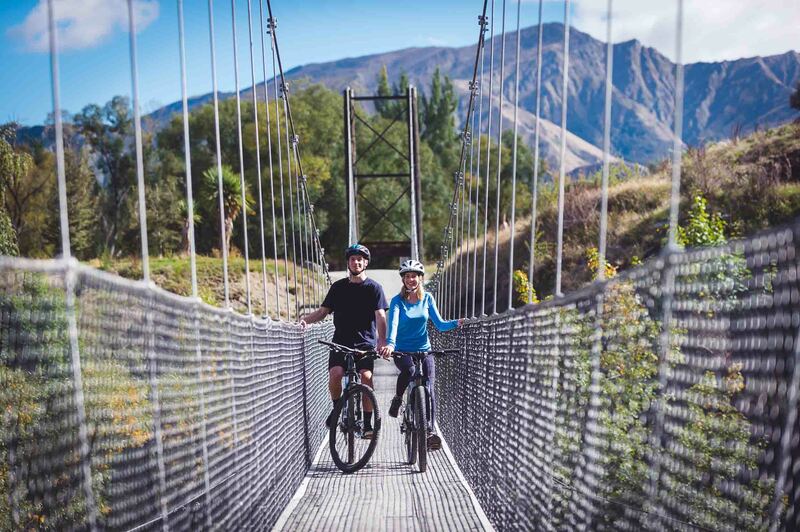 You’ll finish your ride with a relaxed and complimentary wine tasting in the Gibbston Valley, before being delivered back to Queenstown. 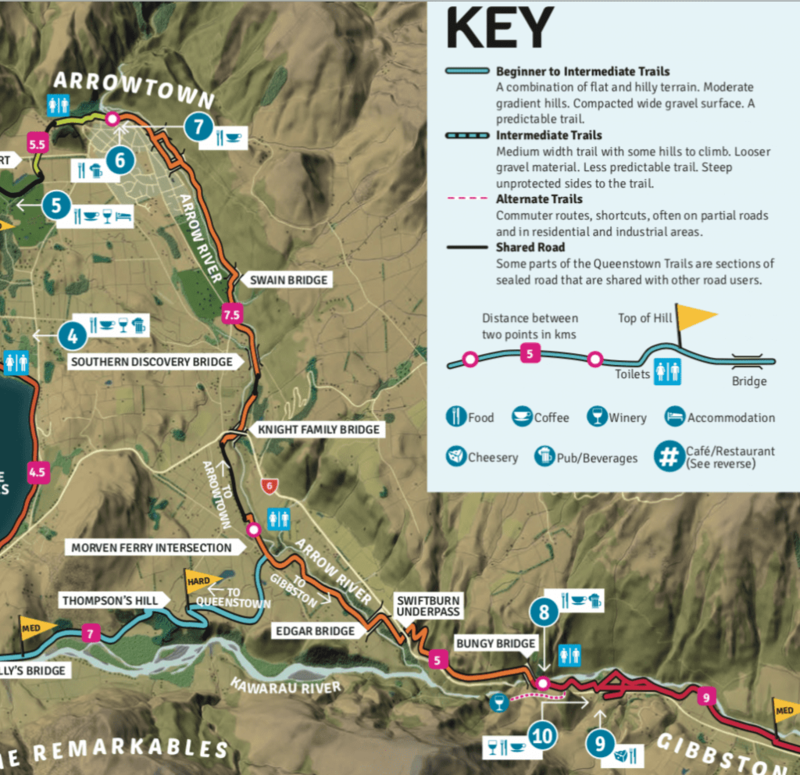 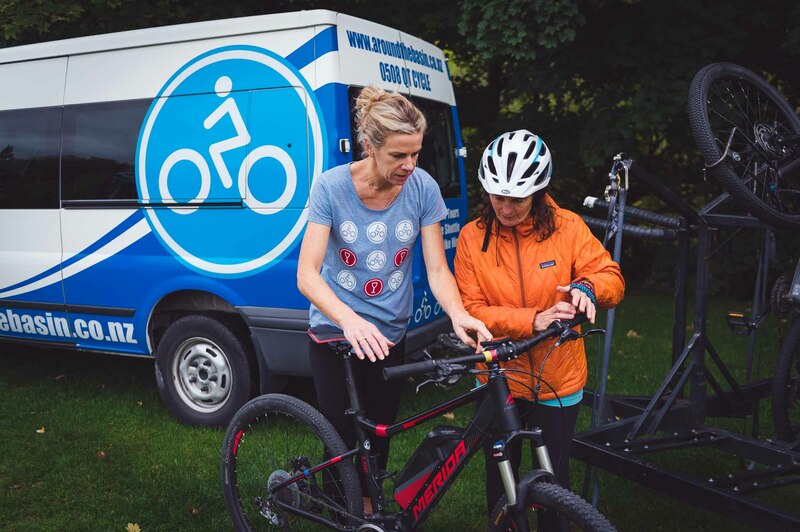 Thorough directions, a map and trail tips are given at the start of your adventure, along with driver and vehicle support at designated points throughout your 15km off road ride. 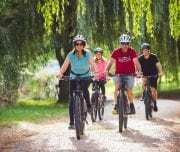 At roughly 11.45 AM you will reach the winery, where you will be treated to a relaxed wine tasting. 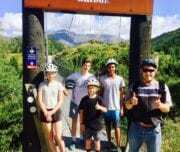 A great way to wrap up your tour. 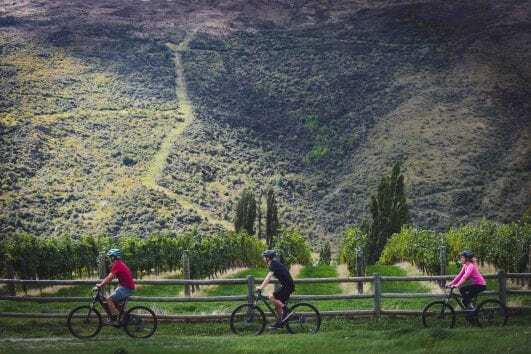 At roughly 3.45 PM you will reach the winery, where you will be treated to a relaxed wine tasting. 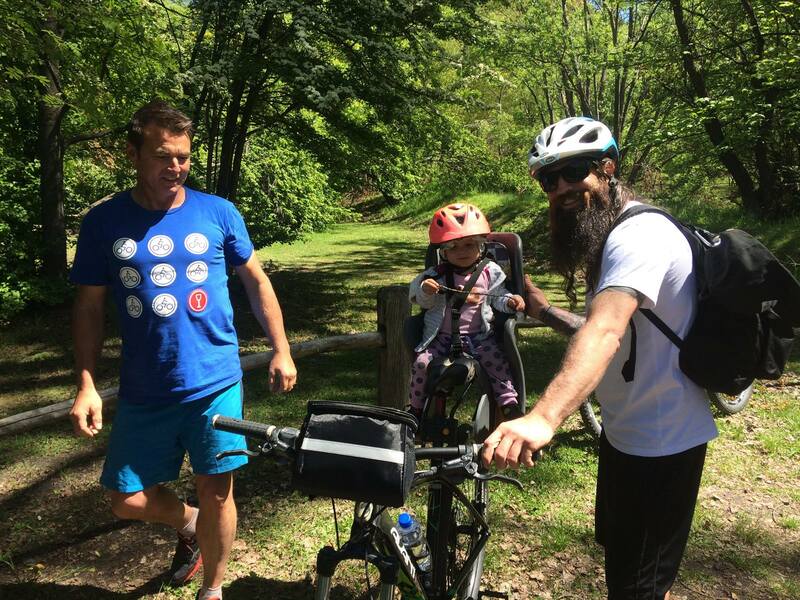 A great way to wrap up your tour.